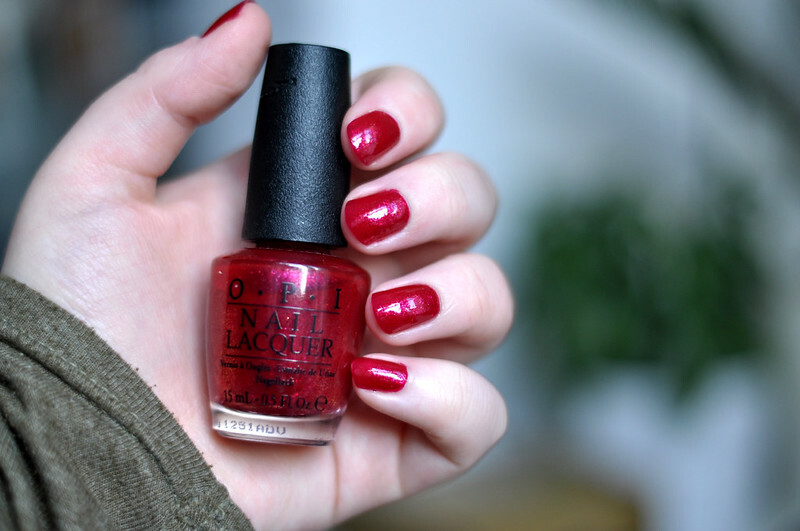 Despite needing three coats to become opaque, I just love this shade and since it came out around Christmas time it always reminds me of the holiday season. Meep Meep Meep was part of the 2011 Muppets holiday collection. It's a bright red-fuchsia that has small flakie shimmer running through it which makes it look a brighter pink in some lights. I always put a base coat underneath colours like this as they tend to stain my nails and there's nothing worse than yellow looking nails when you don't want to wear a nail polish. Removal is easy and isn't like a normal glitter nail polish. Animal-istic | Designer De Better | Divine Swine | Excuse Moi | Fresh Frog of Bel Air | Gettin’ Miss Piggy With It | Gone Gonzo | Meep-Meep-Meep | Pepe’s Purple Passion | Rainbow Connection | Warm & Fozzie | Wocka Wocka! I like this color of nails, so gorgeous.